* Discounted promocode is valid till 25th January. 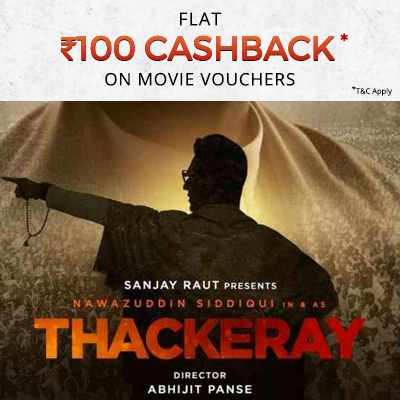 * Discounted promo code is only applicable for booking Thackeray movie tickets on Paytm.com and Paytm App. * The discounted promo code will be applicable on booking Thackeray Movie Tickets only (once booking starts).